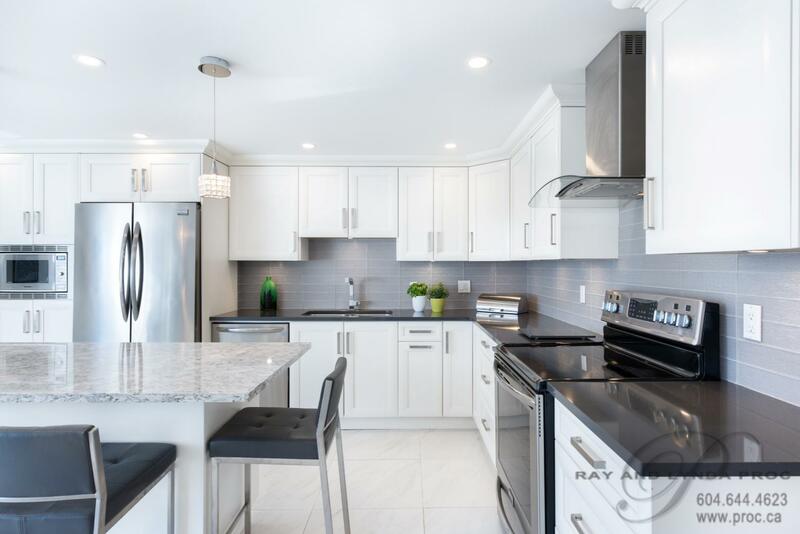 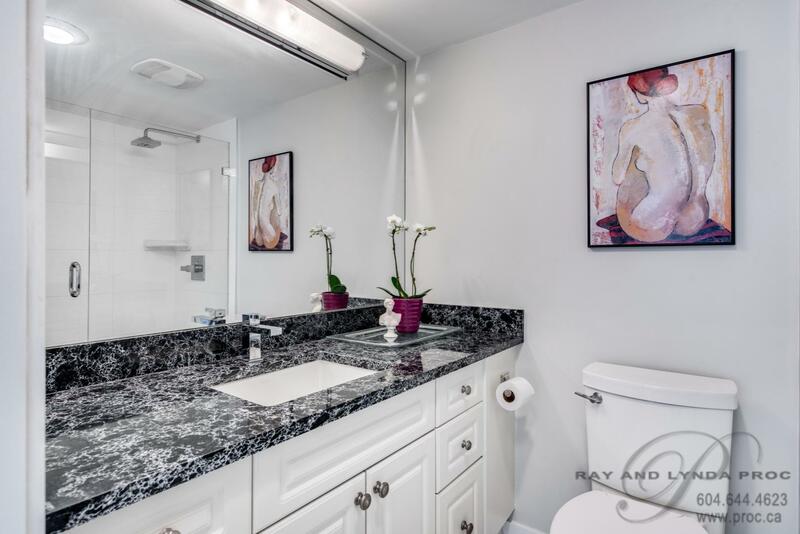 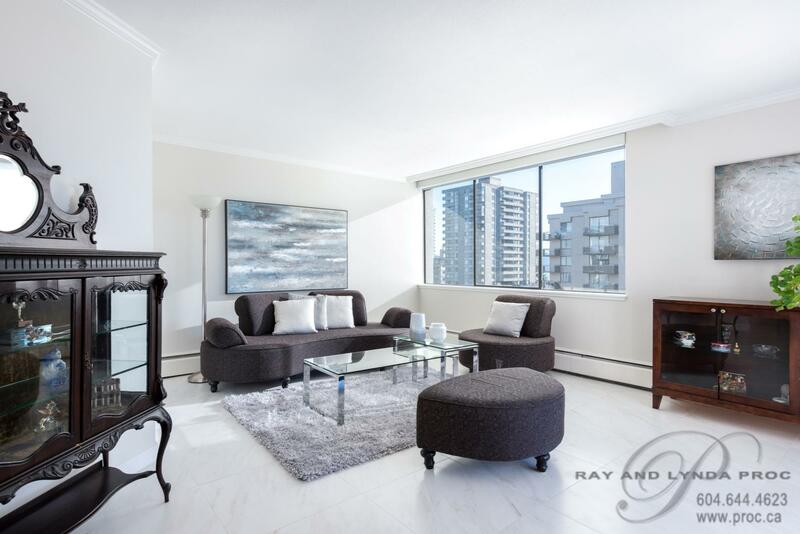 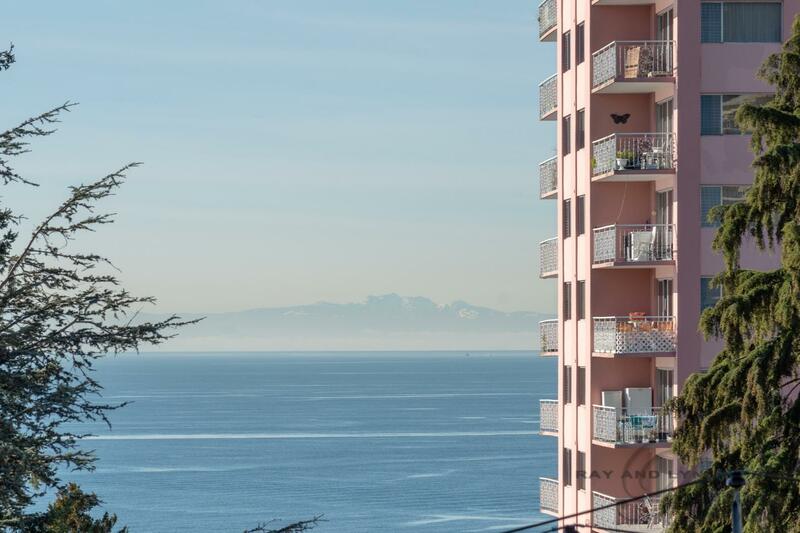 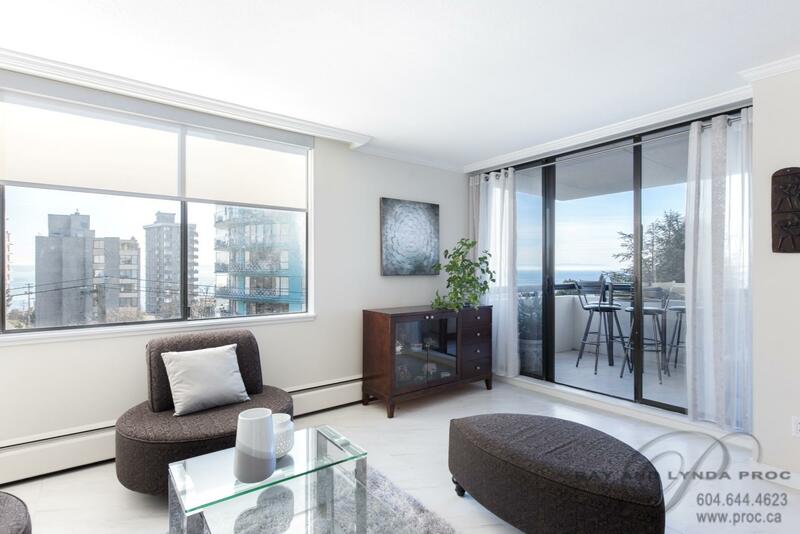 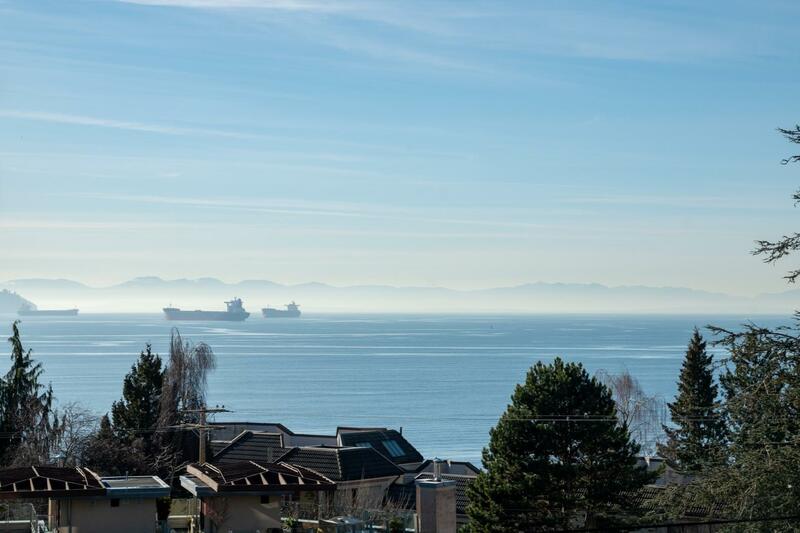 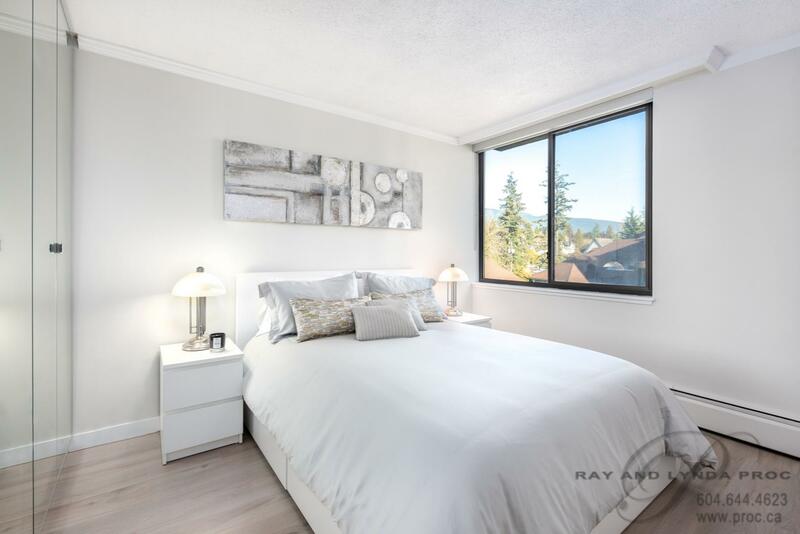 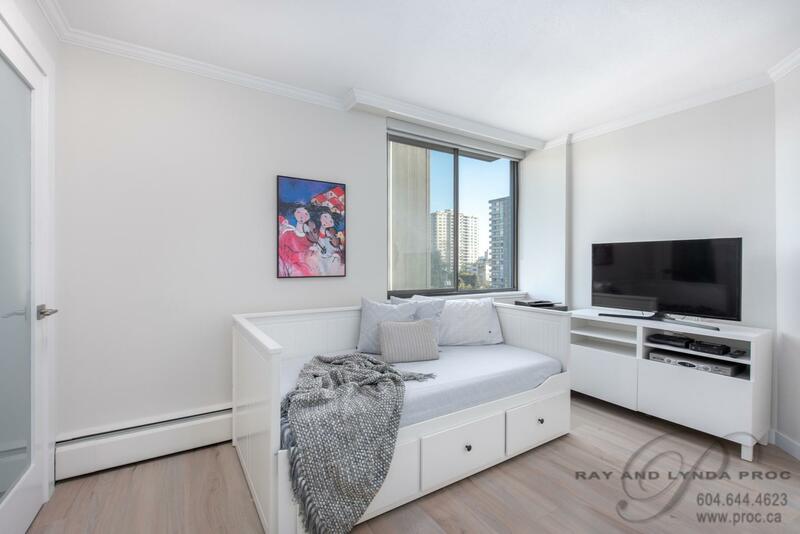 Pretty water views from this beautifully renovated two bedroom, two bathroom corner suite in one of Dundarave’s superior buildings. 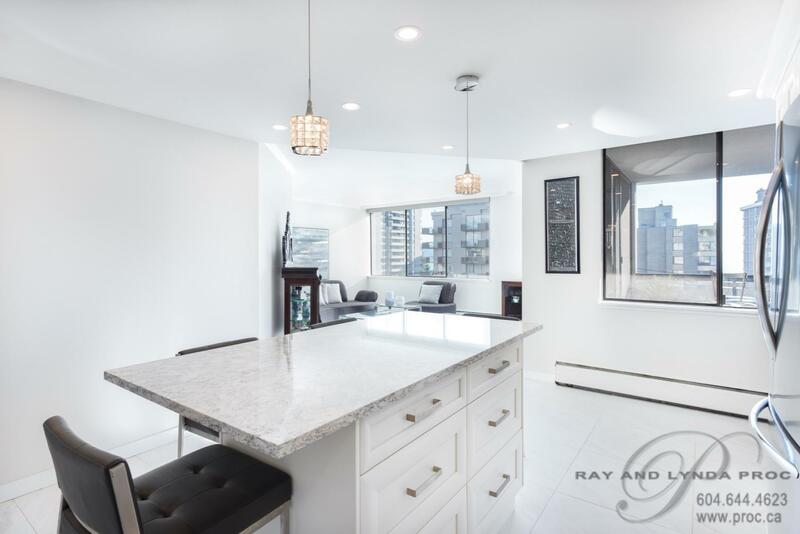 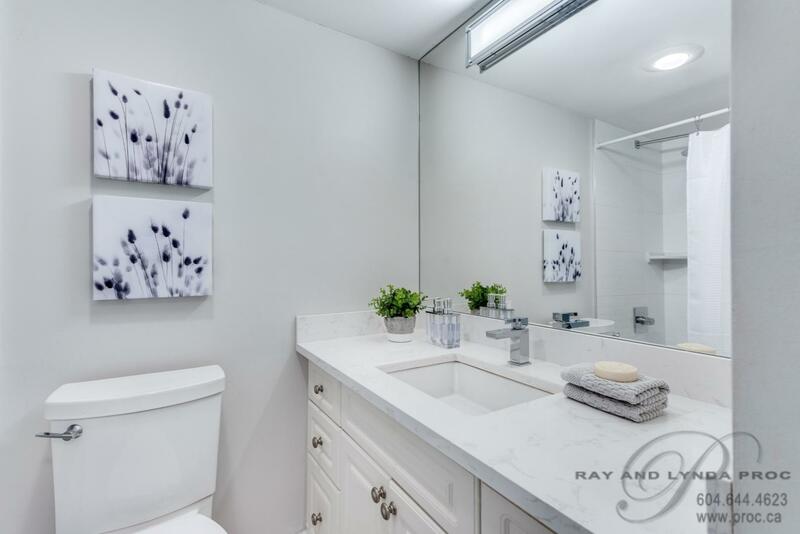 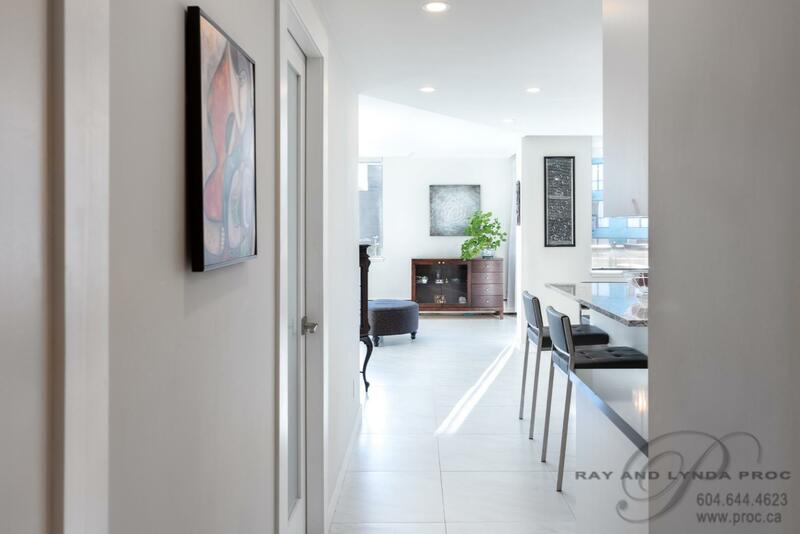 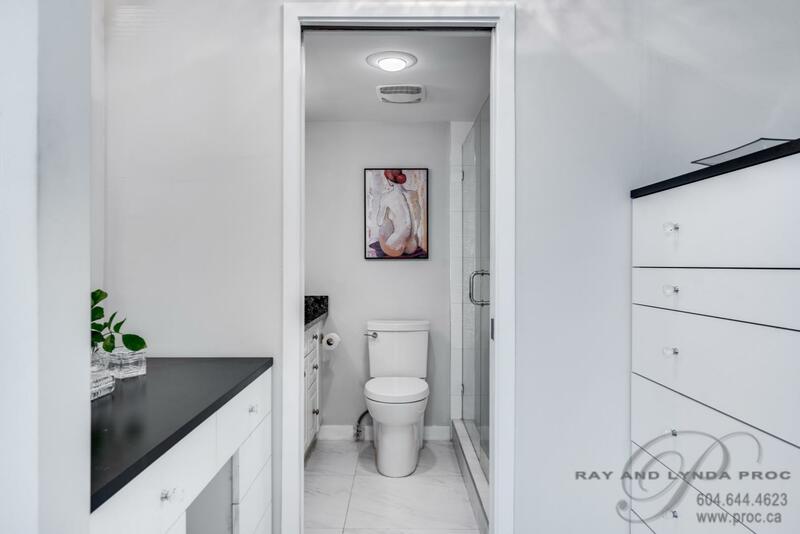 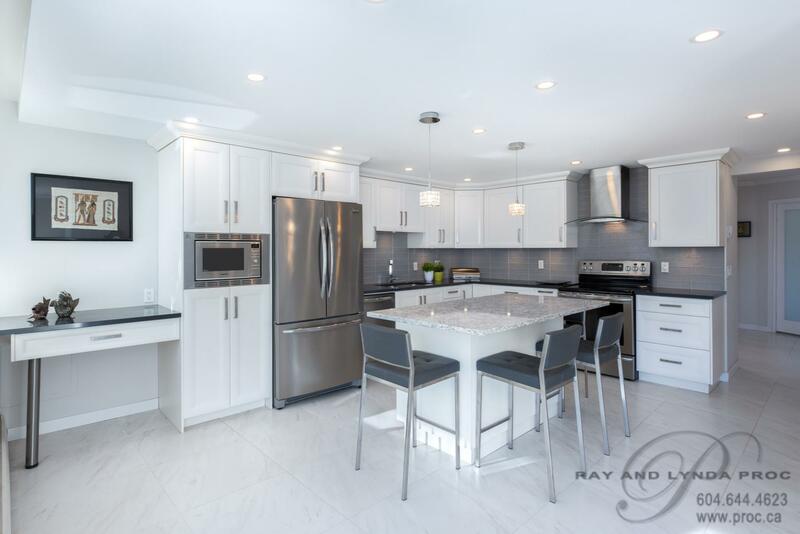 Remodeled with the utmost quality this stunning suite shows like new with beautiful 2’ x 2’ ceramic tile flooring throughout the living area. 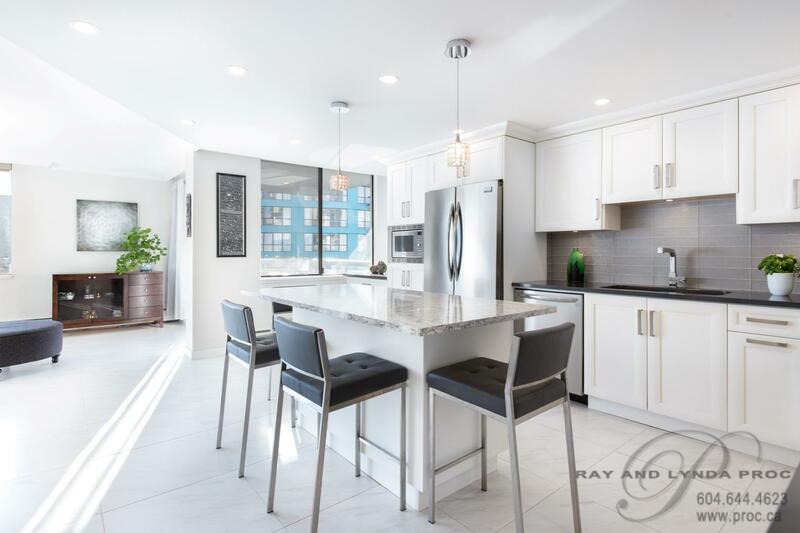 A bright open kitchen features Cambria granite counters with a glass tile backsplash, custom cabinetry and bar stool seating. 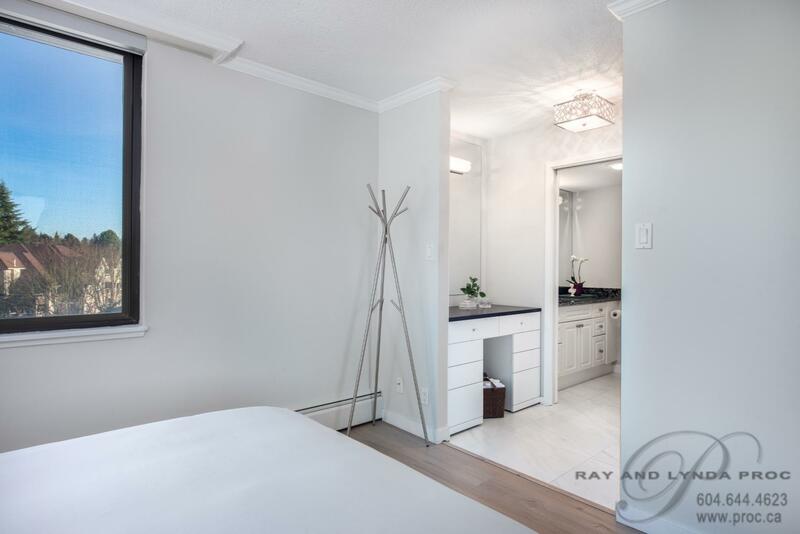 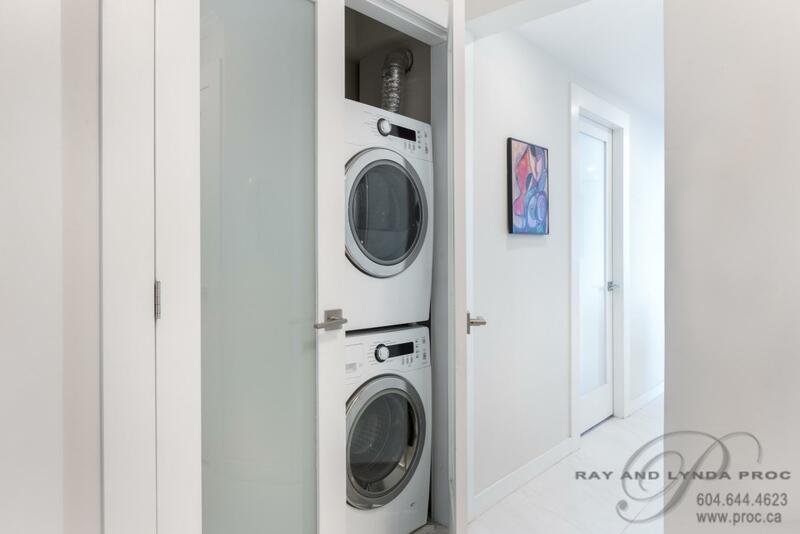 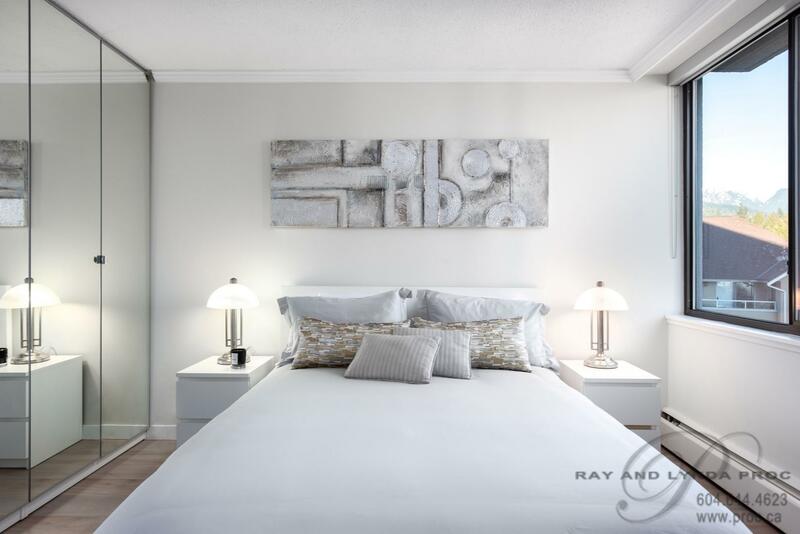 Two spacious bedrooms include a lovely master with a custom built-in dresser area, two closets and a pretty ensuite. 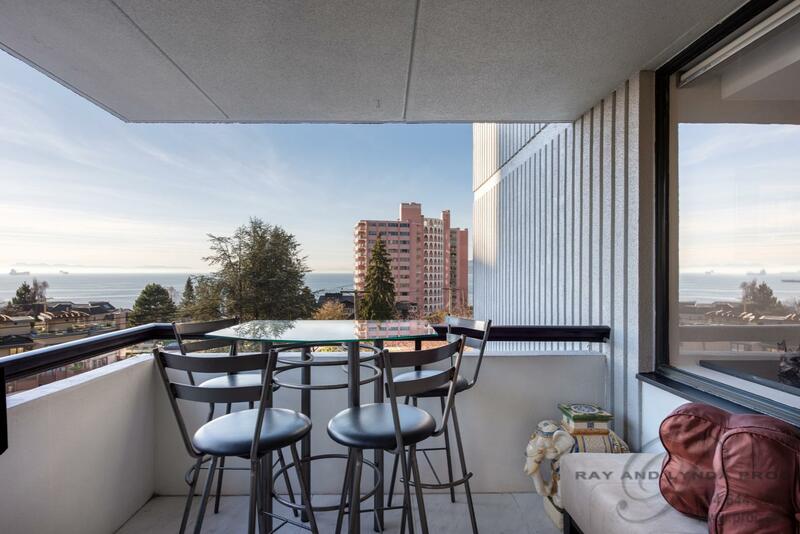 An open deck off the living area has a heated floor and is the perfect place to enjoy the water views and evening sunsets. 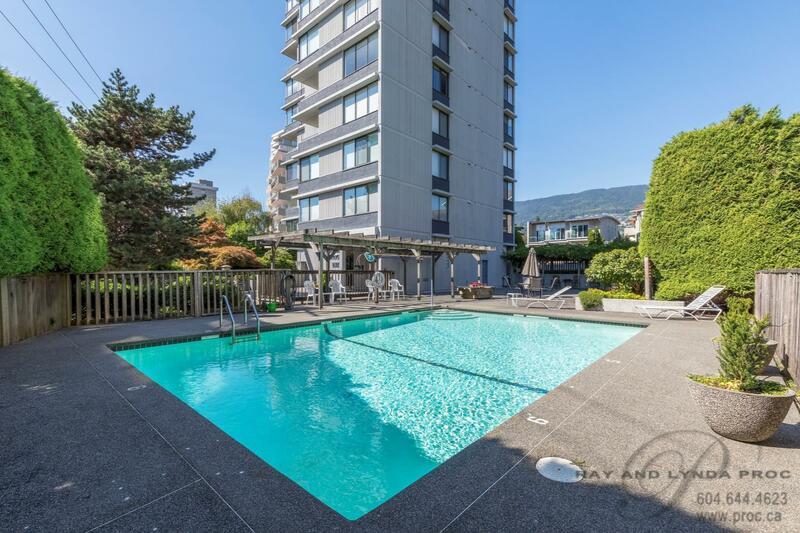 The unique amenities of Vandemar West include an outdoor pool, live in caretaker and insuite laundry. 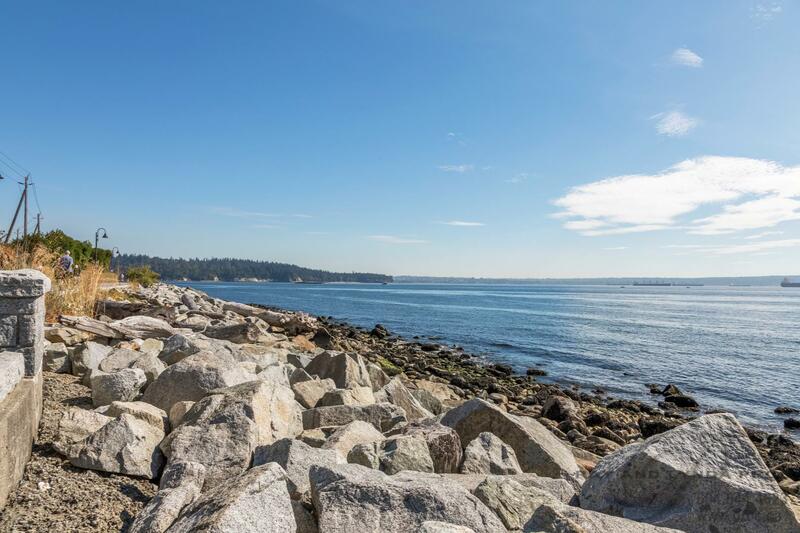 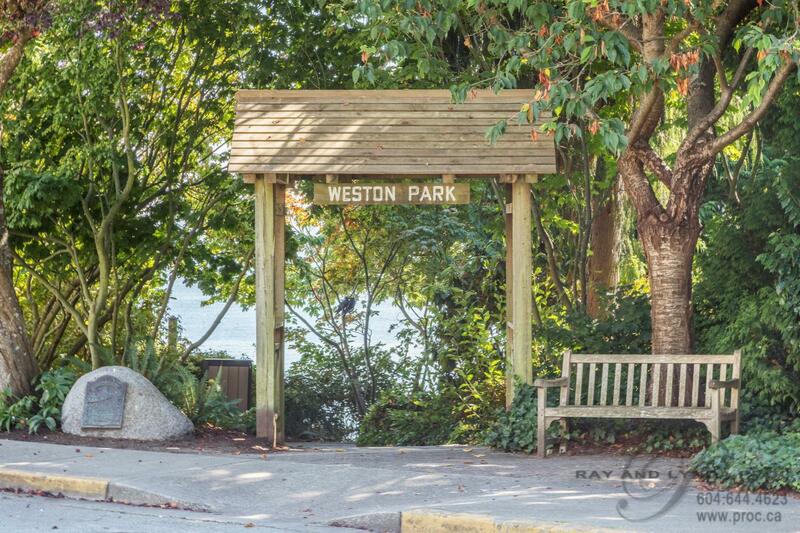 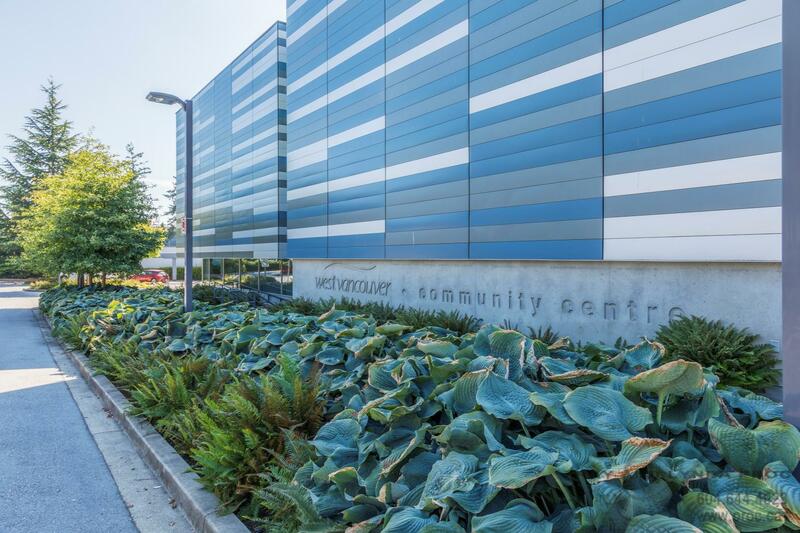 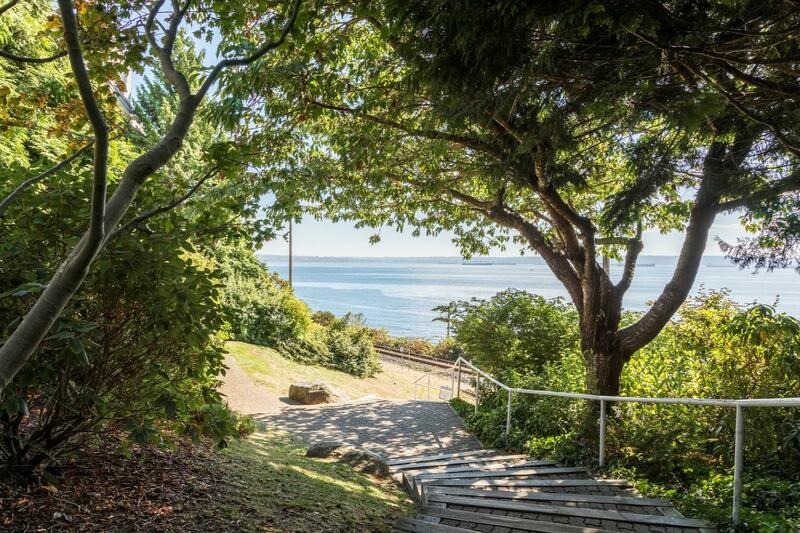 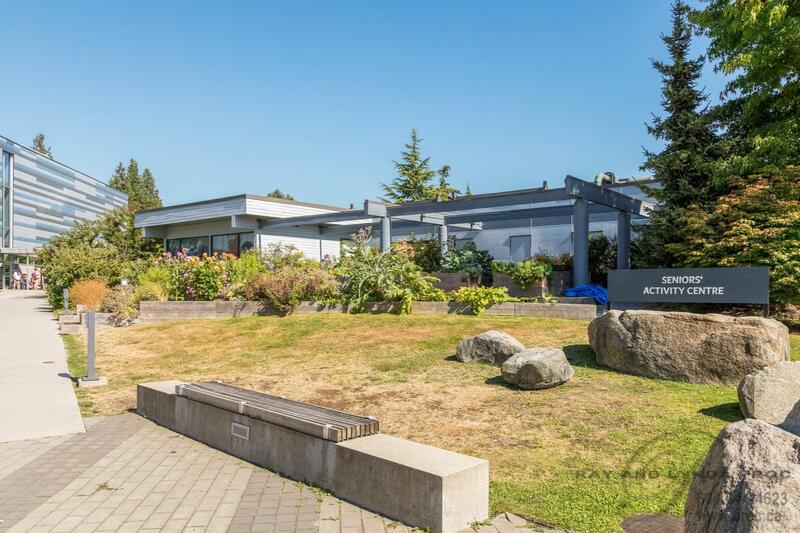 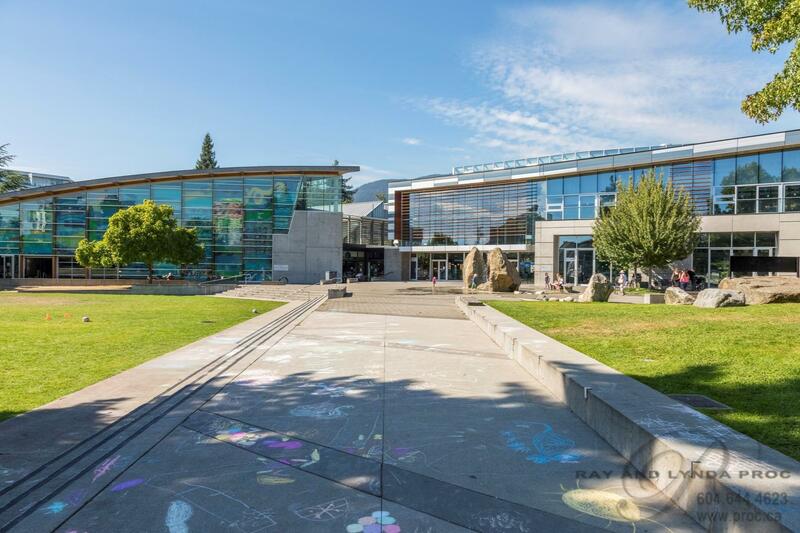 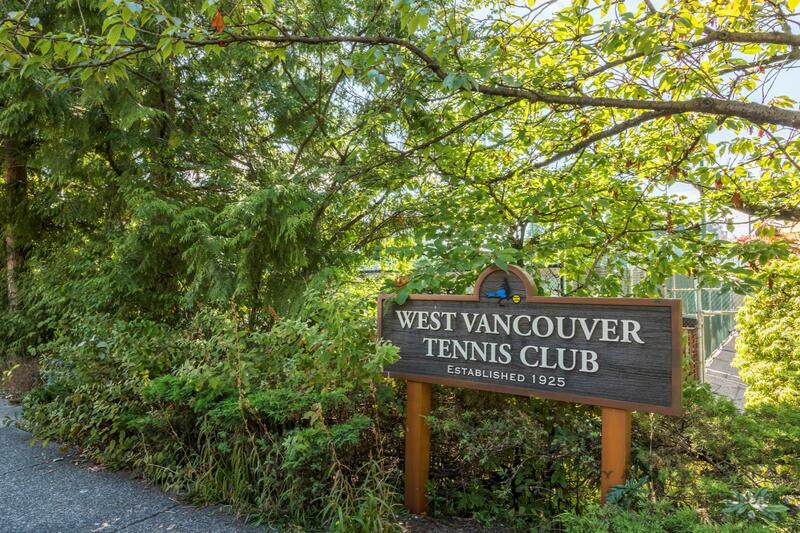 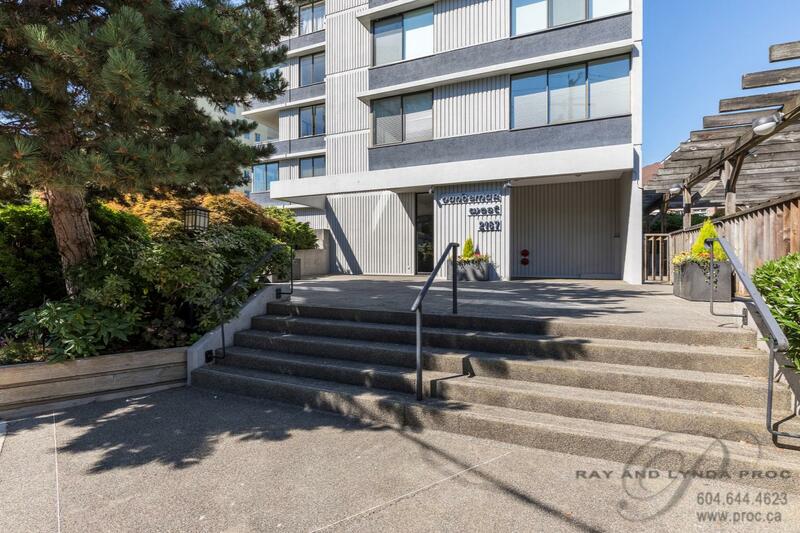 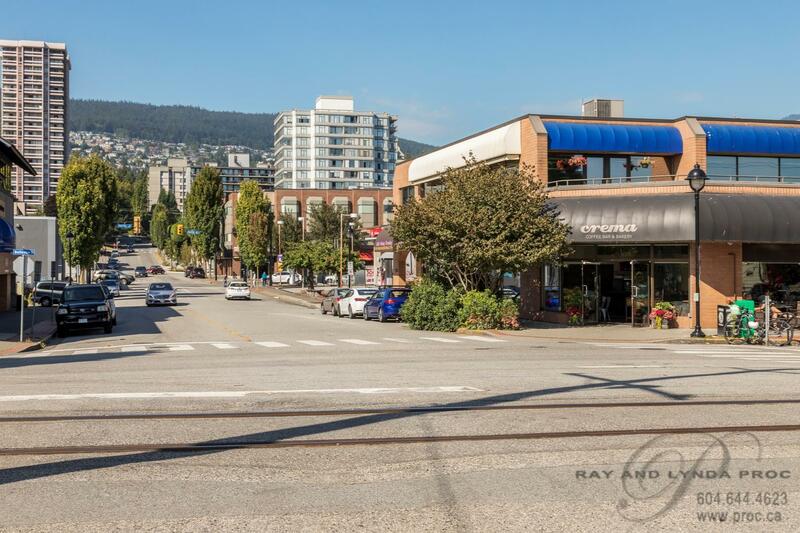 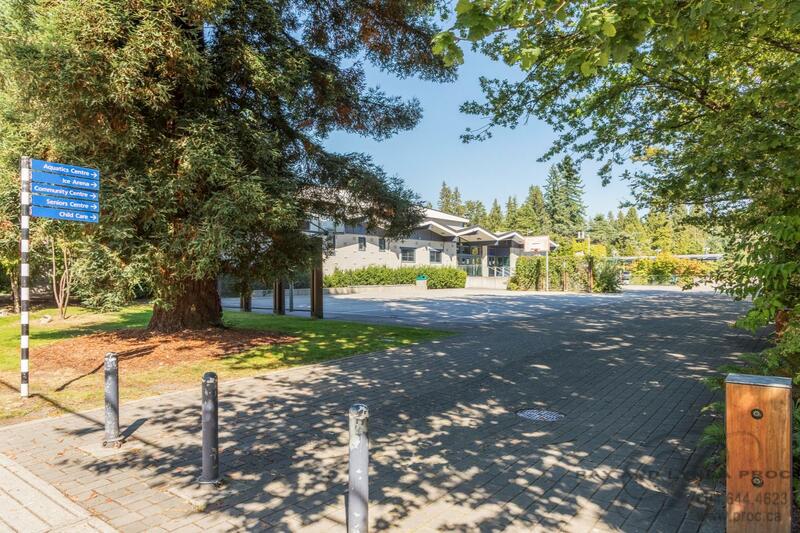 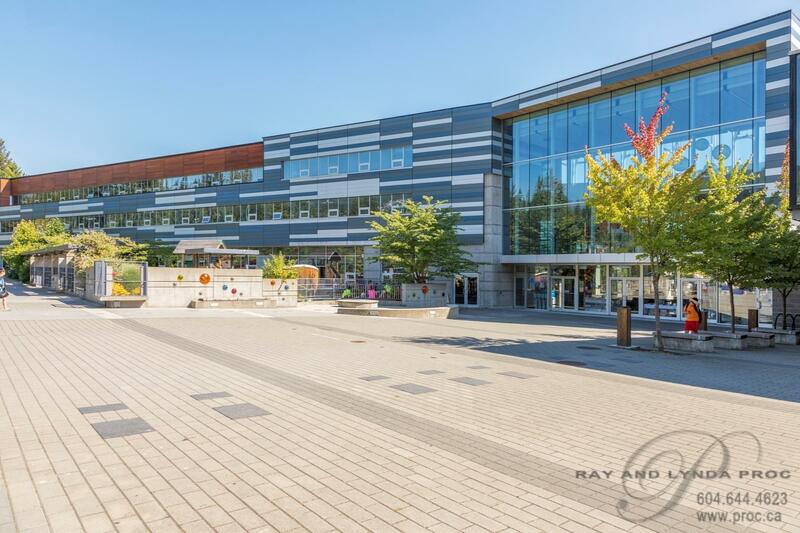 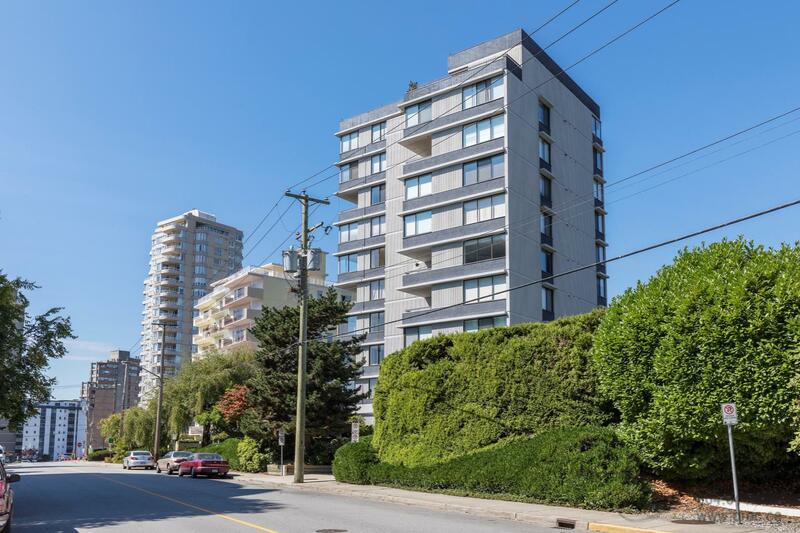 Centrally located within a short walk to the WV Community Centre, Seniors Centre and the Seawall make this the perfect place to call home!